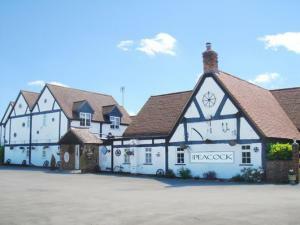 This friendly and charming hotel is situated in the pretty village of Chesterton near Bicester. On the doorstep of Oxfordshire, the Bignell Park Hotel is set in 2.5 acres of secluded informal gardens. Construction of Bignell Park Hotel started in the mid 18th Century and was originally part of Bignell Park Manor House as the Estate Mews. By the 19th Century, Bignell Park was converted into a private residency, but with its beautiful Cotswold charm and its two and a half acres of land, its potential was all too obvious, so it was transformed into a country house hotel with a restaurant. Since then, the hotel has undergone many upgrades and extensions to allow us to cater for most requirements from conference and wedding to romantic weekend breaks. All our rooms are individually designed and seek to maintain the original charm of this wonderful property, whilst providing all the modern amenities desired by the most discerning clientele. Each of our rooms is decorated and furnished to an exceptionally high standard. All take advantage of the beautiful surroundings and views. There are a variety of rooms to suit any occasion and requirements from a romantic 4 poster to a family room or spacious double superiors for a lengthy stay to a twin bedded room with disabled access. So whether you join us for business or pleasure, Bignell Park Hotel is the popular choice, where nothing is overlooked but the countryside. Set within 10 acres of lawned gardens, in a designated area of natural beauty, this leading independent family-owned country house hotel is beautifully set in the heart of the Cotswolds. Recommended by AA Britain's Best Hotels, this superbly converted stone mill house, dating back to the Domesday Book of 1086, houses 23 luxurious en suite bedrooms which have views over the hotel gardens, the Cornwell Brook and the Cotswold Hills. Furthermore, its wide range of facilities make it an ideal choice for holidays, leisure breaks, wedding receptions, conferences, functions, parties and celebrations of all descriptions. Within easy travelling distance of many of England's finest attractions, there is something for everyone to enjoy. In the evenings you can pay a visit to the hotel's restaurant, Mill Brook Room, where the 2 AA Rosette head chef, Giles Lee, will prepare you a fantastic meal. Set in Oxford's historic city centre, next to the bus station and 5-minutes' walk from the train station, this small hotel is ideally located close to University colleges, theatres and shops. A unique mix of traditional English and modern European styles, the caf?-bar is open from 09:00 - 23:00 Monday-Thursday; 09:00 - 24:00 Friday and Saturday; and 12:00 - 22:30 on Sunday for bar snacks, tea, coffee, traditional ales and lagers. The hotel offers guests the comfort of well-appointed stylish and spacious en suite or standard rooms (with a shared bathroom) in the heart of the historic university city of Oxford, within a stone's throw of all its attractions. Unfortunately the hotel does not have a lift. The welcoming Railway Inn provides good value bed and breakfast accommodation, with free Wi-Fi. Culham rail station is adjacent, offering excellent access to central London. All of the en suite rooms have a TV and comfortable beds. An inclusive full English breakfast is available. The stylish restaurant at the Railway Inn serves traditional English food in a cosy setting and the bar has real ales. The new hosts are friendly and efficient. 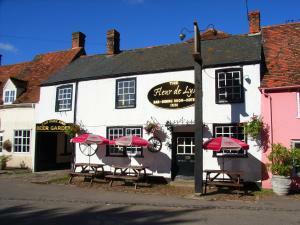 This traditional pub and inn offers entertainment in the games room and an attractive garden. There is ample free parking. With great reviews from national newspapers, this Gold Award winning, 5-star Guest Accommodation (from Quality in Tourism for Visit Britain) is said to have been visited by Shakespeare. In the village of Grendon Underwood, 20 minutes from Oxford, Shakespeare House is a beautifully restored Grade II Listed property that dates back over 500 years. Once a coaching inn, the building is part Elizabethan and part Tudor. Today it has luxury rooms, a welcoming drawing room with large fireplace and TV, and an elegant dining room with log fire. The house also has front and rear gardens. Shakespeare House was voted one of the top 50 romantic places to stay in the UK by The Sunday Telegraph newspaper (December 2008). The Guardian newspaper said "great for solo travellers and dinner's such fun", while The Observer liked the "plush furnishings and super-swish bathrooms". Shakespeare House was also praised by Conde Nast Traveller Magazine. Boasting spectacular views over The Chilterns, this traditional countryside inn features 7 en suite rooms and wonderful home-cooked food, complemented by a friendly and welcoming atmosphere, in the delightful village of Chinnor. A cosy rural retreat, The Inn at Emmington offers a roaring log fire for those cold winter nights, whilst in the summer you can enjoy the secluded garden. The restaurant serves British cuisine, cooked to order, alongside a fine selection of real ales, beer and wine. The surroundings provide the perfect venue for walking, horse-riding and cycling. If you venture further, you can enjoy the historic University City of Oxford or a day's shopping at the Bicester Outlet Village. There are also a number of golf courses nearby. Possibly one of England's finest coaching inns, certainly the best located, this charming 13th century property is set in the natural beauty of the Cotswolds, within easy reach of Oxford and Bicester Village. Built around 1243 as the ale house for Lord Jersey's Estate, Middleton Stoney, as it was once known, is in the Doomsday Book, valued at 10 pounds, 10 shillings and 6 pence. Today it boasts 20 stylish en suite bedrooms, built around an attractive courtyard garden. The ideal location for meeting friends and family, the Jersey Arms serves good food and wine in the newly-refurbished restaurant. Light meals are available at lunchtime in the bar, and a traditional Sunday roast is served every Sunday from 12:00-14:15. The Jersey Arms is very near to Bicester Village's discount shopping, and close to Oxford and its beautiful colleges. 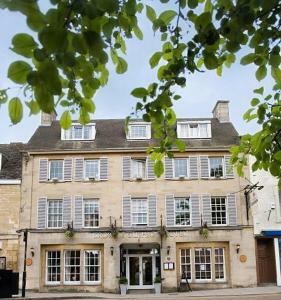 The Feathers Hotel, situated in the centre of historic Woodstock on the doorstep of Blenheim Palace. Originally seven separate houses, the hotel boasts character and charm with antiques and log fires. Woodstock is one of England's most beautiful and famous country towns. Constructed largely from Cotswold stone, its buildings date from the 12th century. It is host to a wealth of interesting shops, restaurants and historical buildings - including the Oxfordshire County Museum. Situated only eight miles from 'The Dreaming Spires' of the historic University of Oxford, on the edge of the spectacular Cotswolds and huddling next to the gates of Blenheim Palace - home of the 11th Duke of Marlborough and the birthplace of Sir Winston Churchill, Woodstock has much to offer its visitors. Woodstock is just one hour's drive from London Heathrow, Birmingham and Cheltenham - Shakespeare's Stratford is a mere 45 minutes away. Due to the age of the building, there is no lift at the hotel. Winner of the Cond? 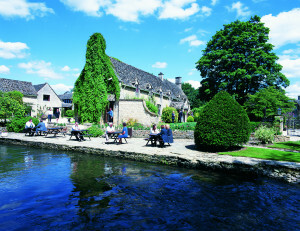 Nast Johansens 'Most Excellent Inn' Award (2009), this traditional English country hotel is in the heart of the Cotswolds. In the delightful and picturesque town of Burford, The Lamb Inn is ideally placed for exploring this beautiful area. The Lamb Inn has 17 individual bedrooms, each decorated in warm traditional colours with fine, often antique, furniture for a true country feel. This magnificent hotel, set in 30 acres of parkland, incorporates historic buildings and river frontage. 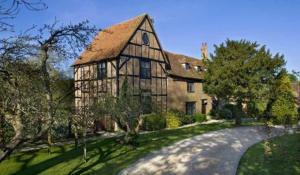 Two medieval barns and a manor house compliment extensive facilities. Integral courtyards are a charming feature, especially as all modern extensions are in keeping with the original buildings. Just 3.9 miles from the city centre this is an ideal location for exploring the many historic and cultural delights of Oxford. Extensive conference / banqueting facilities make the hotel a perfect venue for any number of special events. The Deddington Arms Hotel overlooks the beautiful market square of Deddington. 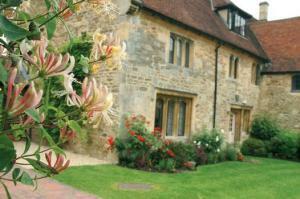 We are located in a medieval village lying between Oxford and Banbury at the gateway to the Cotswolds. The hotel has offered a warm welcome to travellers since the 16th century when, as a coaching inn, it offered food and shelter to weary stagecoach passengers. Today the hotel has a superb fresh food restaurant with air conditioning, warm welcoming bars with log fires and 27 en suite bedrooms including cottage suites and four-poster luxury. Deddington is a village steeped in history dating back to an early 6/7th century settlement. 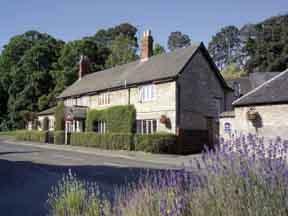 The Deddington Arms Hotel is well situated for visits to many beautiful and interesting places locally, making it an ideal place to stay for a long weekend or a longer break in the countryside. The Deddington Arms Hotel is now a non-smoking hotel in all the public areas. 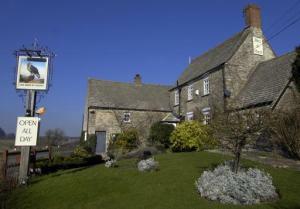 The Chequers Inn is a charming and peaceful countryside inn, with en suite rooms, free Wi-Fi and pleasant dining areas. The Chequers Inn is in a delightful Oxfordshire village of Charney Bassett. The rooms are bright, spacious and pleasantly furnished to ensure your stay is comfortable. All have a separate entrance, king-size bed, digital LCD-screen TV, hairdryer, desk and tea/coffee. Free parking is available on site and early check-in is possible on request. On a quiet B road in the middle of the Cotswolds, close to Warwick and Stratford-upon-Avon, this modern hotel offers great value, with comfortable, spacious en suite rooms and free parking. 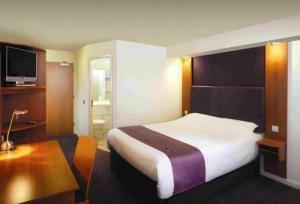 The Premier Inn Banbury has a convenient location, on the B1400, within easy reach of the M40 motorway. Royal Leamington Spa and Blenheim Palace are just a short drive away, as is Stratford-upon-Avon, birthplace of William Shakespeare. The hotel has a 24-hour reception desk and some rooms can take 2 adults and up to 2 children (under 16 years). The 2 children also get a free full breakfast when accompanied by an adult eating a full breakfast. An all-you-can-eat breakfast buffet is available each morning and includes the expected cooked items such as scrambled, fried, poached or boiled eggs, and pork or vegetarian sausages. There is also a wide continental selection. The on-site Brewers Fayre restaurant offers traditional, great-value pub favourites in a family-friendly environment. With a peaceful location, on a 300-acre working farm, surrounded by gorgeous gardens and lakes, this beautiful farmhouse offers unique charm and original character. The Lakeside Town Farm B&B has a wonderful, peaceful location in a small village, bordering Oxford South, at the foot of the Chiltern Hills, with no passing traffic. The farmhouse boasts beautiful original features and historic charm, with inglenook fireplaces, original wooden beams and a traditional farmhouse-style kitchen with an Aga stove. Free Wi-Fi wireless internet access is available throughout. For extra peace and privacy, guests can stay in the farm's garden lodge, situated by the lake, with up-to-date decor and a 'shabby chic' style. With its gorgeous gardens and lakes, the B&B is perfect for a relaxing break and has been featured on TV's Gardeners' World, the Oxford Channel and in the Sunday Times. Sit by the lakes and the restful, tinkling waterfall, with far-reaching views over the 300-acre farm. 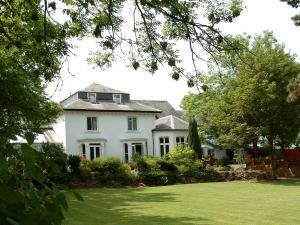 The Mercure Whately Hall Hotel is several hundred years old, and is spacious and comfortably furnished. The Mercure Whately Hall Hotel, originally a 17th-century coaching inn, is close to Banbury Cross. The bedrooms, varying in size and style, are well equipped. Spacious and very comfortable public areas include cosy lounges and an informal bar. Some of the original oak panelling and the black beams are still intact and service is attentive and friendly. The Mercure Whately Hall Hotel is set in its own gardens and has a croquet lawn for you to enjoy yourselves on and work up an appetite before dinner. Situated on the famous Banbury Cross, the Mercure Whately Hall Hotel dates from 1632, a charming hotel which makes a great base for visits to Broughton Castle, Upton, the surrounding Cotswolds and Oxfordshire countryside. Banbury itself is a pleasant place to shop. Please note: all our rooms are non-smoking. 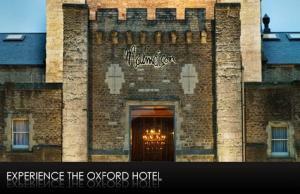 The Oxford Spires Four Pillars is a luxury 4 star hotel about 0.5 miles from Oxford City Centre. Our hotel consists of 115 luxury en-suite bedrooms: Classic, Connoisseur and Suites. Oxford Spires Four Pillars Hotel is the fifth hotel in the company's portfolio, being the third four star property in the group, alongside the Oxford Thames Hotel and Tortworth Court. Set amongst 40 acres of outstanding parkland with access to the River Thames, a place where one can experience the feel of both town and country. Just half a mile away is Oxford City centre via a pleasant riverside walk, or along the Abingdon Road. Please note that all rates are on a room only basis. 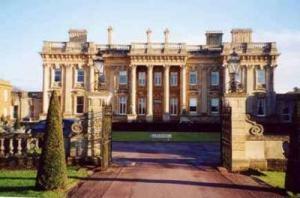 Our English country house, in the town of Oxford, is set within three acres of well designed mature tree lined gardens. On arrival there is at once a sense of calm...a tranquil oasis. The hotel is in the leafy village of Iffley which is situated near the River Thames, just a short drive from the centre of town, complete with its own Norman Church next door to the hotel; Hawkwell House provides peace in a busy world, and unusually for the area free on site parking. We have 66 en-suite bedrooms which are sumptuously decorated and offer luxurious accommodation with en-suite facilities, direct dial telephones, state of the art televisions, modem points as well as a hospitality tray. Arezzo is our award winning restaurant, the heart of the house and overlooking the fountain patio, is centre stage to a stunning menu of contemporary, yet highly individual dishes. Lovers of fine food and wine will enjoy accomplished meals punctuated by fastidious service and epicurean skill. The versatility of our six meeting rooms provide the right setting for conferences, seminars, training sessions, receptions and parties accommodating up to 200.